Last week, we entertained the idea of revival and spiritual awakening. Today, we revisit the reason why we, human beings, have a dire need for such things in the first place. Speaking of “self” our subject today is original sin and total depravity, or in layman’s terms, the smell of humanity. As already mentioned, our spiritual odor is the reason why we need to be washed by the blood of Christ. But more than that, we are so filthy and stinky that we need to daily enter that baptismal of spiritual renewal that is only found in God’s Son. We have stunk so badly for so long, we tend to forget the stench is even there. Any media outlet (no matter it’s level of quality or bias) you choose to monitor will remind you of that – somewhat hard to forget and hard to remember – aroma that is the fallen-ness of humankind. It follows us everywhere like a skunk spray times infinity. Within the core of our beings we each carry the potential to be as awful and ugly as a Hitler or a Marylin Manson. We were all born this way and none of us can simply shake it off on our own. That last line actually comes from a reprise at the end of the album, along with a lingering refrain from the famous hymn “Come Thou Fount.” The line from the hymn that our song highlights is a human confession of our ever present tendency to wander away from God, back towards the land of human filth and pathetic-ness. It is as if we are standing in river current that constantly pulls towards the depravity that plagues every member of the human race. Even when we relax and do nothing, we will simply drift back towards all things putrid and rebellious. The Christian knows that it is his/her lot to strive against this undertow on a daily basis. But the Christian should also know that Christ will be the One who leads us upstream and away from the valley. The entire album by The Oh Hello’s does a great job of exploring this topic and you can enjoy the whole thing at the link on the image above. I appreciate their efforts to join Paul in humbly admitting that our depravity is still here – even for those who have been washed clean by the love of Christ. Some might have trouble with that statement, wondering how could being born again in Christ still leave this odor of sin all over my heart and hands? I think when we are all honest with ourselves, it isn’t that hard of a truth to accept. The hymn writer felt his proneness to wander – while he was worshiping his Savior and leading others to do the same. Paul taught his churches of his own struggle – in the midst of teaching them about the Gospel’s saving power, as well. You and I know in our heart of hearts that our striving will only cease when this flesh is dead and gone. But until then we must remember where we have come from, where we still live and where we are headed. We came from the valley of death, sin and destruction. The valley of spiritual wretchedness still exists in our nature (even for believers in Jesus), but it will end on the mountain top of that final victory awaiting all those who truly embrace the Christ. He will lead us through the deep, dark valley! This post is primarily about our constant need for spiritual renewal. This song is a battle cry and a prayer for each of us to embrace on a daily basis, no matter how numb and complacent we may feel today. If you are open to these things, then you should genuinely feel nervous and excited at the same time, because the Holy Spirit of God is not harnessed and He is not safe. 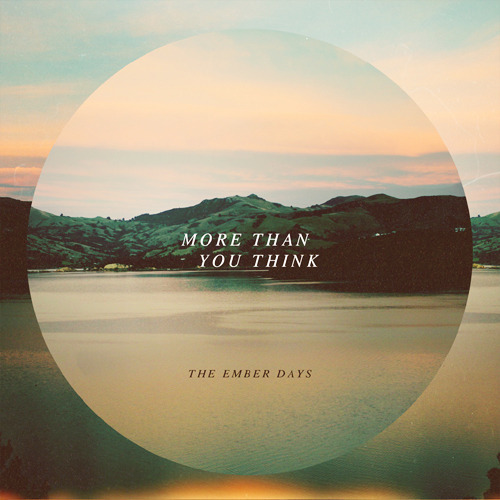 The Ember Days is a quintet from New Zealand seeking to push the limits of contemporary worship music. Their sound is indie and moody and beautifully intimate (something like The Cardigans meets Explosions in the Sky…maybe?). Their lyrics are consistent with their purpose: to bring the created close to our Creator. “Awake” is a simple song that everyone can relate to and probably on a daily basis, if we’re honest. Listen with humility and openness to your own need for revival. I need You my God, I need You to breathe, come now oh Jesus, awaken my soul to sing, all that You gave, Your life for me, Lord I am yours, awaken my soul to sing, awake my heart, awake my soul, revive me Lord, come and make me whole, awake my soul. The beauty of this song is not its theological depth, but rather it’s emotional depth. It places a simple request at the feet of Christ (a desire for spiritual awakening) and then expectantly awaits upon the One True sovereign God to fulfill His promises. The energy and intimacy of the song is a force in and of itself that epitomizes what worship music should be – a truth brought to life. Just like a painting puts color to an idea. It is certainly something to get caught up in – as long as that something is grounded in Gospel truth. The result is always a changed life and a real faith. The awakened Christian feels deeply, ministers holistically and prays powerfully. The awakened Church reaches out to the lost corners of their communities and brings Jesus to the broken. The Ember Days is associated with a ministry called “Come&Live!” who simply gather worship bands and speakers together for the purpose of living out a genuine and vibrant faith among the broken and needy. They can be uncomfortably charismatic at times (depending on your background), but their mission and method appear to be biblical and Christ-like. The truth is they are reaching young people within the cracks of our society that very few other ministries are effectively reaching. And that is a very good thing. Jesus had a similar strategy in His days on earth and when He ascended to Heaven, He left us with instructions to do the same as Him unto the ends of the world (Matthew 28:18-20). A commission like that starts with an awakening of our own hearts. May you pray for personal revival each day and may you carry the banner of Christ’s love for yourself and those hurting around you, indiscriminately and without reservation for what God might choose to do through you. May you be truly awake! Good Friday has come and gone. All the Earth is quiet, still and dark as night. What has happened to our Savior? Jesus was supposed to save God’s people and now He is dead? These questions surround the heartbreak of His disciples and friends as they wait for God knows what. Meanwhile, in the spiritual realm everything has slowed down to a crawl – awaiting the most pivotal moment of all time. It was as if a volcano was about to erupt and every being, good and evil, fixed their gaze on His grave waiting in anticipation and holding their collective breathe before the biggest moment in salvation history. Then, on Sunday, Immanuel bursts forth from the dead holding the keys to redemption and eternal life! And the harmony of praise that He receives from the Heavens and the Earth – angels and humans together – catapults high and loud for all of creation to witness and proclaim! The resurrection and Jesus’ ascension to honor and authority in Heaven is the subject of our final song for this collection of posts about the Lent/Easter season. Christ Presbyterian Church in Alabama combined their efforts with some of the folks from Red Mountain to create this album and this tune. Listen, meditate and celebrate along with the Heavenly hosts! Sing, O Ye Heavens! O Earth, rejoice! Jesus would rather die than live without you. But when He rose again, showing that His love for you comes with supreme power, that was the moment of true victory! Hallelujah, He is risen! He is risen, indeed! and break its seals and open it. a Kingdom of priests for our God. For Lent season and Easter preparation, I wanted to include a song that features Jesus’ time in the garden of Gethsemane, the night before He died. There aren’t many songs specifically about this event, but Need To Breathe has one and it’ll do the job just fine. 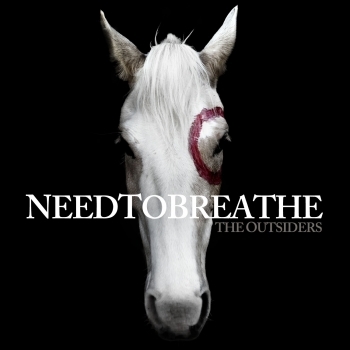 Need To Breathe is a rock quartet out of South Carolina who have over 13 years of experience under their belts. They are a good example of a modern Christian band who avoid the need for extensive labels, yet they are unashamedly clear about their beliefs. “Father, the hour has come. Glorify Your Son, that Your Son may glorify You…I have revealed You to those whom You gave me out of the world. They were Yours; You gave them to me and they have obeyed Your word. Now they know that everything You have given me comes from You…I pray for them…Holy Father, protect them by the power of Your name, the name You gave Me, so that they may be one as We are one. I do believe that one treasure awaiting us in Heaven is the sweet reminiscing of those biblical moments that we can only now imagine. Consider sitting around the campfire while Jesus played back that John 17 prayer in all its emotion and detail. Or listening to Peter laugh about how they ran to the empty tomb, not understanding yet how their great Teacher had defeated death for them! For now, our hearts are greatly helped by at least picturing our Saviors big heart for us during that fateful night when He could have considered so many other things. Praise Him and thank Him today that He was able and oh so willing to follow through with the Father’s plan to save us! The cup did not pass from Him, His blood was shed, and we are saved! Continuing the opening theme of confession within our focus on the passion and resurrection of Jesus Christ, Andrew Peterson, once again, steps up to the plate for this week’s selection. I am tangled up in contradiction. I am strangled by my own two hands. I am hunted by the hounds of addiction. Hosanna! I have lied to everyone who trusts me. I have tried to fall when I could stand. I have only loved the ones who loves me. Hosanna! O Hosanna! See the long awaited king come to set his people free. We cry O Hosanna! Come and tear the temple down. Raise it up on holy ground. Hosanna! I have struggled to remove this raiment, tried to hide every shimmering strand. I contend with these ghosts and these hosts of bright angels. Hosanna! I have cursed the man that you have made me, as I have nursed the beast that bays for my blood. Oh, I have run from the one who would save me. Save me, Hosanna! We cry for blood, and we take your life. Hosanna! It is blood, it is life that you have given. You have crushed beneath your heel the vile serpent. You have carried to the grave the black stain. You have torn apart the temple’s holy curtain. You have beaten Death at Death’s own game. Hosanna! O Hosanna! Hail the long awaited king, come to set his people free. We cry O Hosanna! Won’t you tear this temple down, raise it up on holy ground. O Hosanna! I will lift my voice and sing: you have come and washed me clean. Hosanna. The irony that the Gospel authors allude to (and Peterson picks up on in this tune) is that Christ is indeed Israel’s “Saving King” but not in the way that they expected. The Jews hoped for a physical saving from Roman oppressors, but God meant His Son to be a spiritual savior. Nevertheless, Christ will reign over all realms in the end and the cry of “Hosanna!” is and will be completely answered. In order for Jesus to do this, He had to die. This song captures the riveting defiance that we pit against the immeasurable offer of sacrificial love given to us by God through Christ. The word Hosanna in the Greek literally means, “save now!” What a succinct way of defining both our great need and the great hope that Jesus Christ is exactly the One who can save us. May we continue to better understand exactly what we are to be saved from (ourselves, the wrath of a holy God, etc.) and Who is doing the saving. May the cry of “Hosanna!” be written on our hearts over this Lent season more and more. Passion/Resurrection theme continues this week with a powerful old/new number addressing the awful reason why Christ had to die in the first place: us. Page CXVI is a trio endeavoring to revive old hymns with new musical life. Their style is one of simplicity and a little shoe-gazing, but beautiful for sure. Their name? Well, in their own words, “We got our name from C.S. Lewis’ Chronicles of Narnia in The Magician’s Nephew. Page 116 in the book (CXVI in roman numerals) is where Aslan begins to sing Narnia into creation. Melody being the driving force behind creation really resonated with us, and we stuck with it!” Perfect! How pale art Thou with anguish, with sore abuse and scorn! Oh how Your face bends solemn, which once was bright as morn! Though mighty worlds shall fear Thee and flee before Thy glance. Grim death, with cruel rigor, hath robbed Thee of Thy life; Thus Thou hast lost Thy vigor, Thy strength in this sad strife. You bled by our hands, You bled! For it was my transgression which brought this worldly scorn. But You have sweet mercy, Redeemer by the cross. You bled by our hands, You bled for me, for you, for us! A strikingly personal and hard-edged psalm contemplating the all too well known fact that we (humanity) literally put Jesus on the cross. Sometimes, we get desensitized by this reality because we’ve heard about it over and over again. Our numbness grows with each Easter season, and yet reality has never changed…not for the last 2,000 some years. Yes, Easter is several weeks away. However, we are not able anymore to just think upon these things and be impacted by them as we should be. Remember, we are numb. Therefore, let Lent season serve it’s purpose. Begin thinking now about the cross by meditating on Christ’s suffering and focus on why He had to endure all that He did. Today, we kick off an extended season of celebrating and examining songs about the passion and resurrection of Jesus Christ. Much like December was dedicated to Christmas songs, I will attempt to do same thing in anticipation of Easter Sunday. I begin this endeavor with a double feature about an unlikely song subject, Judas Iscariot. We are used to hearing songs portray heroes and greatness, but perhaps we are not so comfortable with tunes about the despised betrayer of Christ’s saga. As evil as Judas’ actions were, his role was important, ordained and useful to us today. And we have two songs that declare these truths for us in splendid sound and instruction. First up, The Last Bison. This seven-member band of Virginians hone a very mountaintop-esque version of folk. They are a young group on the rise with new stuff ready to be released in early March, I believe. A sobering, naked portrait of the reality of a “Benedict” to God’s Son. Yet, the closing phrase, “I have used your unbelief to set them free…” shows the redemptive quality of what took place between the Teacher and His once-close disicple. Jesus and His Father’s plan for salvation was so much bigger than Judas’ betrayal or any other schemes unhatched by the devil in that day. If He can master and sovereignly will His love to the cross for our sake, then surely anything we imagine as doubts or fears or inhibitions are less than what Christ can handle. Again, such a transparent take on living with the reality of our sin, except this time coming from the other side of the cross. What a difference between Judas – who was condemned for lack of trust – and believers, who betray Jesus almost as much as anyone else, yet know grace through trusting in Christ! This is the power of Easter. Let these songs and the story of Judas Iscariot remind us all that our greatest treasure and hope lies within the passion and resurrection of God’s Son for all sinners. But it is only realized in the ones who place full faith in Jesus’ work. Even though we, Christians, rail and falter at times, our fate is entirely opposite of Iscariot – only because of the cross! Ash Wednesday and Lent season is almost upon us. Catholic and non-Catholic believers have much to glean from this tradition, if applied in the right way. Sojourn Church and worship leaders are embracing the value of these events and so I offer this song for the purpose of heart preparation. Jamie Barnes is on staff with Sojourn and also writes his own music. This song was inspired by an old hymn by the great hymn writer, John Newton. Ash Wednesday is not a means of salvation, but rather an opportunity to remember how incredibly damned and dead we are without our Savior – Jesus. Ashes to ashes. The Bible exemplifies and calls us to lament and be sorrowful over our sin. My God, Oh what striking love to bleed. I must. I will. I do believe. O Lord. I cannot stress enough how important it is for Christians to marinate within the core Gospel truths over and over again. Ash Wednesday is all about focusing on how close we came to spiritual death and destruction and how incredible it is to be saved by God. Lent is a time to sharpen our ability to be living within the grace of Gospel truth as we exercise restraint from worldly things (good things or not so good things) in order to make more room for meditating on Christ. Lent is a great idea any time of year, but especially helpful as it leads us towards the passion of Christ and Easter Sunday. John Newton understood this and I believe Jamie Barnes does as well with this song. In addition, we could learn a lot about being a harmonious group of brothers and sisters in Christ – doing honorable traditions together for the sake of purifying Christ’s bride. God wants us to practice His life within us together. “So why do you condemn another believer? Why do you look down on another believer? Remember, we will all stand before the judgment seat of God. For the Scriptures say, ‘As surely as I live,’ says the Lord, ‘every knee will bend to me, and every tongue will confess and give praise to God.’ Yes, each of us will give a personal account to God. So let’s stop condemning each other. Decide instead to live in such a way that you will not cause another believer to stumble and fall. Le me encourage all of us to see these days as an opportunity for better Gospel-centeredness, better self-control, and better Christian community living. And let us allow songs like this one to lead the way for our souls to better embrace the Mercy Seat.